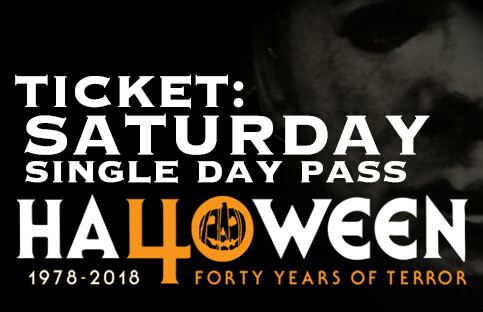 Admission into H40 – Halloween: 40 Years of Terror during normal business hours on SATURDAY, October 13th, 2018 (Hours: 11am-7pm). Ticket grants admission into the convention center with access to the vendor, celebrity, HCG Gallery, and Q&A panel and screening room. 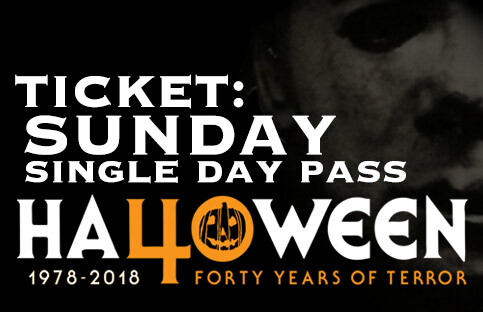 Admission into H40 – Halloween: 40 Years of Terror during normal business hours on SUNDAY, October 14th, 2018 (Hours: 11am-7pm). Ticket grants admission into the convention center with access to the vendor, celebrity, HCG Gallery, and Q&A panel and screening room. 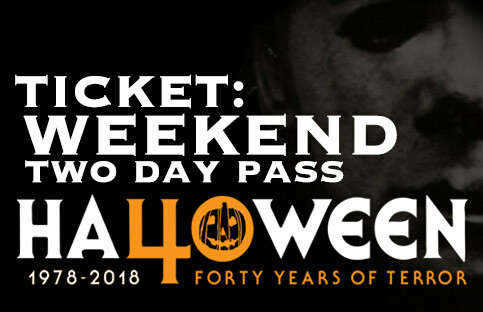 Admission into H40 – Halloween: 40 Years of Terror during normal business hours ALL WEEKEND – SATURDAY/SUNDAY: October 13-14th, 2018 (Hours: Saturday: 11am-7pm, Sunday: 11am-5pm). Ticket grants admission into the convention center with access to the vendor, celebrity, HCG Gallery, Q&A panel and screening room. VIP Ticket! 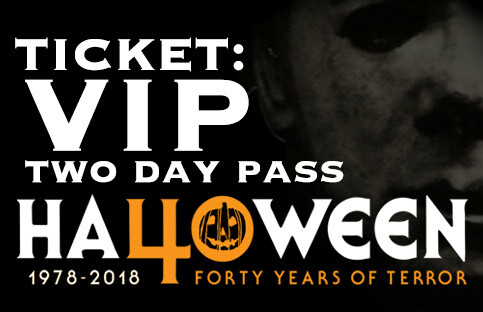 This ticket grants holder admission into H40 – Halloween: 40 Years of Terror during normal business hours ALL WEEKEND – SATURDAY/SUNDAY: October 13-14th, 2018 with one-hour early admission to the event Saturday! (Early Admission Hours: Saturday: 10am-7pm, Sunday: 11am-5pm). Ticket grants admission into the convention center with access to the vendor, celebrity, museum, Q&A panels, and film screenings. Guaranteed access into Saturday Night After Party event.